Nil by Mouth’s tie up with emerging Scottish writing talent Jennifer Adam and Black Dingo Production to launch the first schools tour of the acclaimed play ‘Warrior’ has been featured on BBC Radio Scotland’s ‘Sunday Morning’ show. ‘Warrior’ is the story of teenager Evan and the consequences of his decision to post sectarian content online for his family. Last month Nil by Mouth sponsored performances of the play for hundreds of senior pupils in Broxburn Academy, Garnock Academy, Kilbirnie and St Modan’s HS Stirling with the aim of raising awareness of the legal consequences of such behaviour. It was revealed last year that nearly half of all in crimes in Scotland take place online and last May a survey of 1,300 young adults, conducted by marketing agency Digital Clarity, found that 16% of the 18- to 25-year-olds 16% admitted to spending over 15 hours a day online. ‘Warrior’ seeks to delve into this online world and highlight the real live consequences which can, all too often, arise from it. 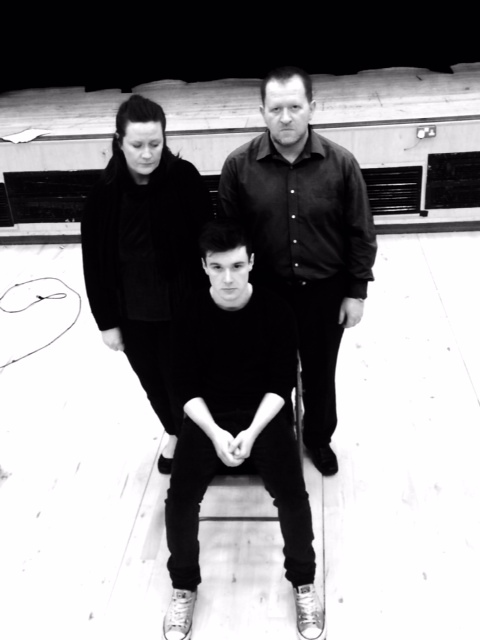 The feature was broadcast on Radio Scotland Sunday 19th April and features interviews with Nil by Mouth’s Campaign Director, the production team behind the play and staff and pupils who watched it.